Robert K.Rehmann is sagittarius, loves reading, listening to good music and traveling. He feels himself a nomad of the image, who exploring his own roots and the culture of the “others” transforms his visual freedom in a style where the photographic choices and the aesthetics depend on the emotions to be transmitted. Workshops with Machiel Botman first, Mauro Fiorese and Keith Carter later have been determining factors in his photographic research, a research for something which is always a little further. Visual contaminations, polaroids, copy machines are used together with more traditional media in Robert’s work. I am pleased you found my blog, Robert. It is good meeting you. Thank you, Robert! I am enjoying your blog, as well. Hi Robert! I’ve been mostly away for a few years and when I came back I noticed that I had so many people I was following that I couldn’t follow anyone. So I cleared it all out and I’m now picking up the best of the bunch. 🙂 Glad to find you and your wonderful blog still here! Nice to have you around here Annika! Robert, I would like to send you a copy of fēlan after it’s published in the next week. Would you mind sending me an email at felanzine@wordpress.com so that I have your email address? I am so pleased you found my blog Robert, now I have found you! 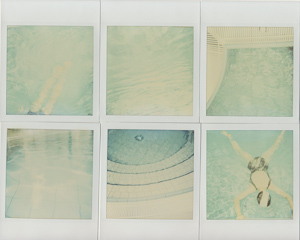 The Polaroids above are so beautiful, very painterly. Lovely work. Thanks Anna, Polaroids can be magical! Hi, I do very much like what i have seen of your blog so far, I have become and fan and a follower and looking forward to more. Thanks for finding me. Thanks for your appreciated words, EM ! I’m a huge Polaroid SX-70 devotee. I have several and adore them. Still use them when the weather is warm. Fisicamente: vicino a Milano, nord Italia. Thanks Elena, polaroid is not photography: it is pure visual magic! Your “quiet sojourn” is a fantastic narrative. Here where I live the winter has been quite disappointing compared to yours. Only a very few good snows and then just warm enough to wipe away the beauty. And now as springtime has come upon us, the days are colder and the skies gray when we should feel warmth. Congrats! You have nice shots, it’s great to meet you! Thank you. Nice to know you like my photos! I genuinely appreciate the “quietness” (no pun intended of course…) but also the depth of your images. I voluntarily do not use the word “picture” since they are so much more powerful than static pictures ! I wish you many more years en-lighting us ! I’m honored by your words, thanks Yves! Robert, I could copy your first sentence of your Bio and no one would be the wiser. Thanks Martina, books, music, traveling are…life! Beautiful photos. I love the title of a quiet photographer. And thanks for liking my blog. Continued success! Hi Robert, I found you in the Rangefinder forum in a topic about the Hahnemuhle photo album. Since the topic is closed for 2 years I would like to ask you a question about the book here. Are the pages pre hinged? So does the book opens flat? Wonderful, inspirational work. I loved the tale of your father-in-law. And thanks for the translations! Robert , passeggiare nel tuo blog è stata un’esperienza molto piacevole che mi ha insegnato, in modo gradevole, molto !!! Hai parlato di fotografia con il cuore e con l’anima, non solo di tecnica ! Grazie per aver condiviso il tuo sentire…. Ciao Roberto, felice di aver scoperto il tuo blog !!! Thank you Robert for such kind remarks on the new blog. It will be a learning curve for me but I feel up to the challenge. Your photographs & your words are like taking in a fine wine. Thank you Greg for your nice words. Writing on a blog is like having and discovering a new road each time. A good experience. Grazie, thank you for so nice words. But be careful…sometimes I’m not so quiet ! I love your photography and it is as you describe quiet and soul reaching. I will be following your blog and photography. Thank you very much for passing by my site and for the kind words of encouragement. I checked you work out as well, and I must say I was positively impressed. I bookmarked you for future reference. Your photos are inspiring. And also I want to Thank about this English version of your text… How thoughtful you are. Otherwise it would be so difficult to read you. And another point what I want to say, the head photograph is amazing, I am impressed so much, this is great photograph. tolle Seite und spitzen Bilder, da muss ich noch viel viel lehrnen. Über nächste Woche fliegen wir wieder für zwei Wochen nach Rom, Rom ist spitze! Meine Frau lehrnt gerade italienisch. Würde mich freuen von Dir wieder zu lesen!! !